Founded in 1964 by Neil Statham, the Sundown Pastoral Company P/L covers more than 30,000 hectares spread throughout the New England area of NSW. High quality beef cattle feature as the lead product alongside cotton and other forage crops. The central property in their portfolio lies in the Sundown Valley near Kingstown in northern NSW with a number of other farms spread throughout the New England area of NSW; there is also a cotton property near Moree, NSW and a hardwood plantation near Miriam Vale, QLD. Not only does this forward thinking company believe in state of the art husbandry, farming and infrastructure, including carbon neutral beef production, but they extend this thinking to their telecommunications. Via the Commonwealth Bank AgQuip 2015 field days at Gunnedah NSW, Sundown Pastoral company representatives met the team of Rising Connection, experts in solving mobile & data problems in difficult locations. 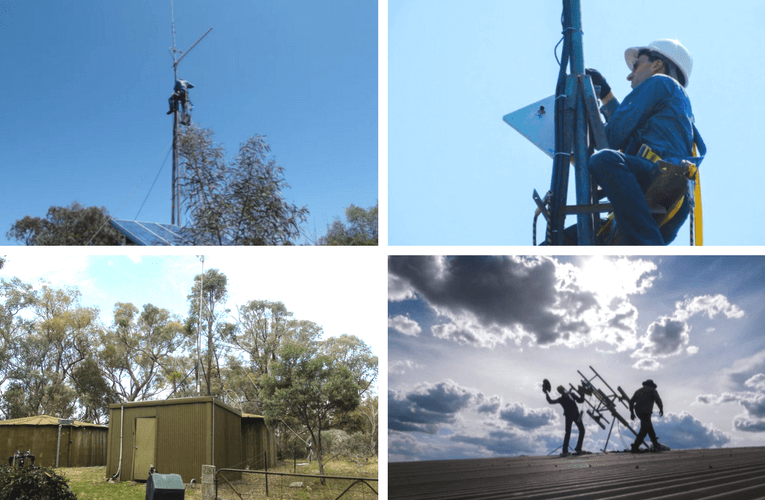 Together they worked through Sundown Pastoral’s telecommunication pain points, concentrating on their central property Sundown Valley, the aim being to improve data speeds and poor mobile phone coverage. The property had fibre optic cable running to the main office and homestead but this had been disconnected by the owner due to costly rental and data. Staff were currently working via a 3G service micro cell which only achieved speeds of 1 Mbps down and 256k up. The company operated a database to manage their business which dealt with 10,000+ head of cattle. 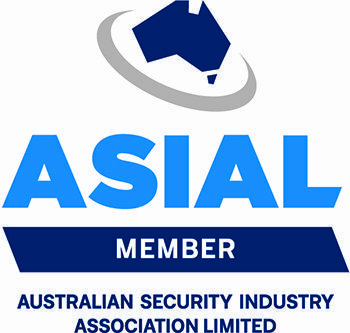 This database had to synchronise regularly throughout the day with HO database situated on the Gold Coast; a process which took over an hour under the current arrangements. Due to the difficulty of the site, Rising Connection visited the Sundown Valley Property to undertake proof of concept testing and survey the site to see what existing kit could be reused. The property encompassed a small hill, the largest in a 20km radius known as Kingston Knob, which already had a radio communications tower built on it. It gave line of site to a Telstra base station 48km away, from which Rising Connection was able to get a high speed 4G internet connection with 50Mbps down and 25Mbps up, using temporary test equipment. The homestead was situated at the base of a hill in a black spot (mobile and radio dead zone) with no line of site to the tower. Using this temporary equipment, Rising Connection set up the Telco Xpol antenna and routers on the existing radio tower on Kingston Knob. Then using the Low Powered PtP Wireless Link on the tower, the Wi-Fi signal was directed to the work shed. The Medium Powered PtP Wireless Link was used to bridge the signal from the work shed to the homestead garage and a 60 metre cable into the communications rack in the basement of the homestead finalised the connection. Sundown Pastoral managers were happy with the temporary result along with a Rising Connection guarantee of a minimum of 10 Mbps symmetrical bandwidth, and the official install was booked for 3 weeks later. The Xpol antenna remained from the previous visit aligned to the Telstra base station 48km away and it was connected to a 4G router. A slightly different path was taken for the final solution to produce a better end result. a Medium Powered PtP wireless link in bridge mode was set up from the radio tower to the wool shed. From the top of the wool shed a Medium Powered PtP wireless link in bridge mode was utilised to the top of the water tanks at the homestead, with a further Low Powered PtP wireless link bridging to the homestead. In addition to the combined PtP wireless link system, Rising Connection also installed a failover system in case of a 4G link failure. A Peplink Balance router was utilised for the failover switching and load balance, while another gateway at the Communications room is used for the 3G signal redundancy. The final result is providing peak speeds of 100Mbps down and 50Mbps up on the hill with a stable 30Mbps symmetrical bandwidth, far surpassing the guaranteed 10 Mbps. And a final comment from a happy client “I like the methodology you guys used to prove the systems work & to get the internet to difficult locations”. Michael Vincent.